Here’s a fun gift for a hard to shop for person! 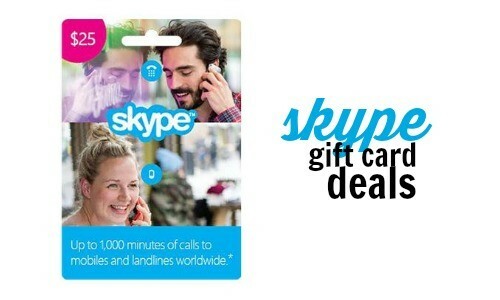 Right now Newegg is offering a $50 Skype gift card for $25. Choose the $50 card from the drop-down menu and you’ll see the discount. You can also get a $25 gift card for $12.50 when you use the code EMCFGFH22 at checkout. $50 in credit gets you up to 2,000 minutes of calling. If you have any family members over seas (or missionaries) this is a great way to keep in touch for super cheap!